This shop has been compensated by Collective Bias, Inc. and its advertiser. All opinions are mine alone. 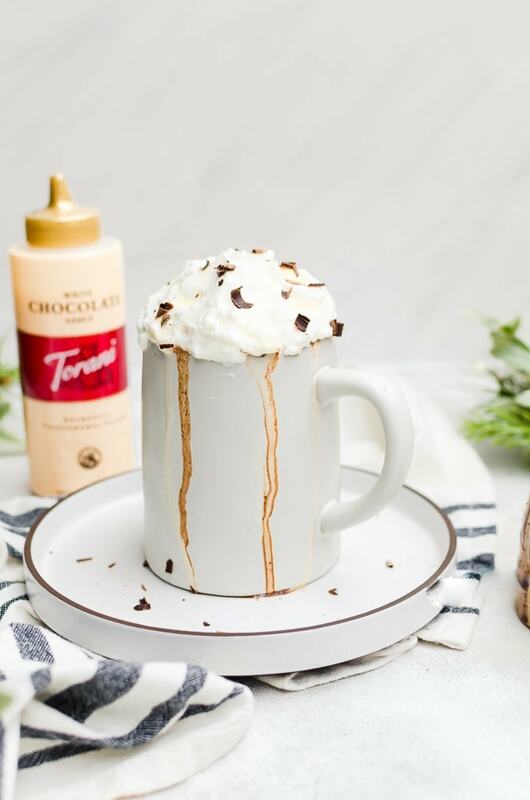 #ToraniSauceObsession #CollectiveBias Thick, indulgent gingerbread hot chocolate that tastes like all the best things about cozy days inside. 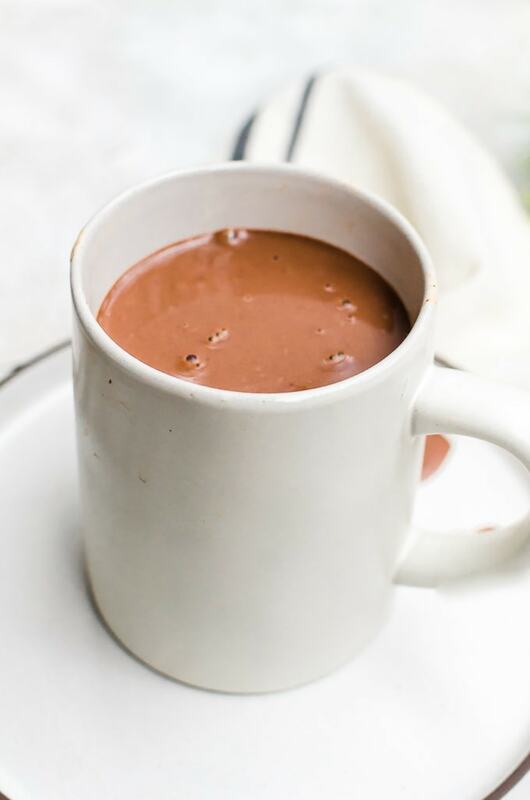 You know we love nothing more than a mug of hot chocolate when the weather is cold. We like to make our own favorite flavors and sit down together to watch a movie, or give the kids hot chocolate when the adults make their coffee. 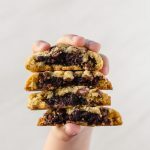 It’s basically a staple in our house, so it’s no surprise that I am back with another hot chocolate flavor to share with you. 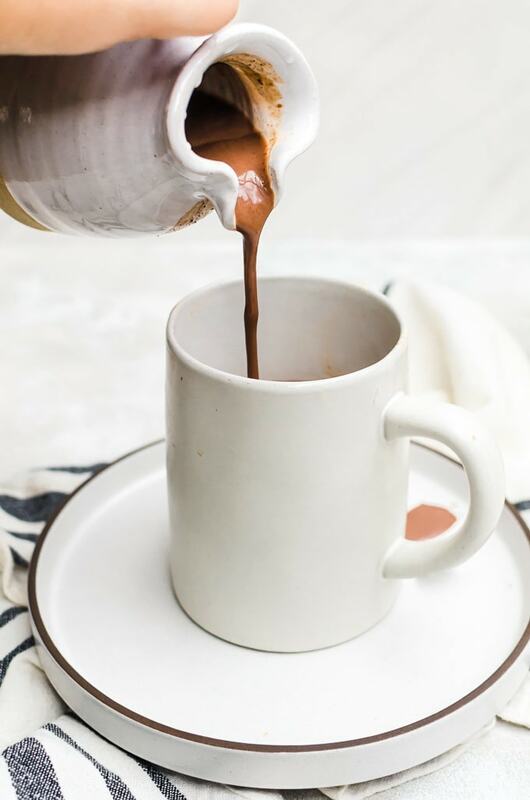 This gingerbread hot chocolate is so much fun and a personal favorite. 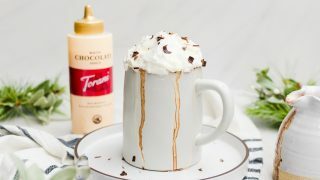 To add more depth to the gingerbread hot chocolate, I added a bit of white chocolate in the form of Torani white chocolate sauce. 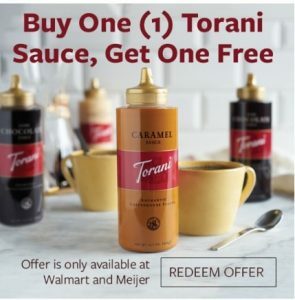 The Torani sauces are actually on sale for buy one, get one free via rebate at Walmart until 12/31/18, or while supplies last. Just buy two Torani sauces, and snap a photo of the receipt. Take a picture of your receipt, then enter the rebate experience to upload your photo. 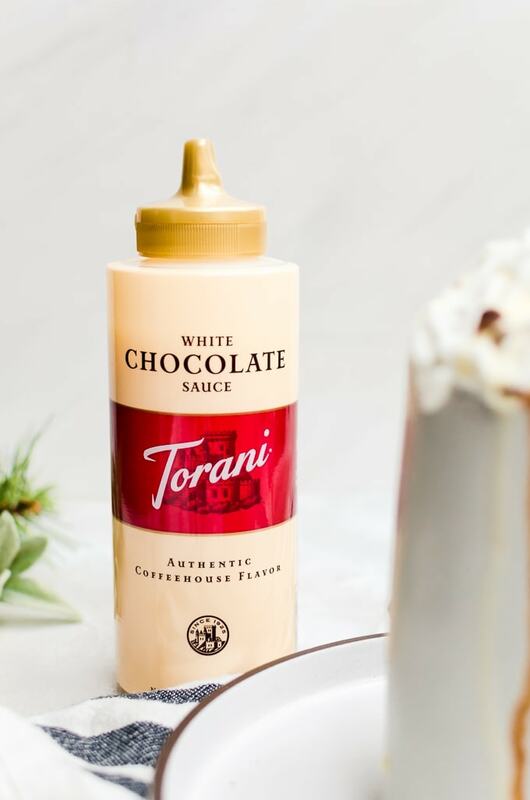 We’ve been fans of Torani sauces since the local frozen yogurt place opened up. 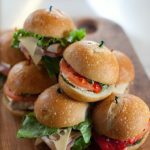 They were our favorite sauces to top our treats. They had a variety of them so we could mix and match flavors depending on our mood. They’re a 3rd generation family-owned company that’s been creating drinks in the café industry for over 90 years. Since it’s so easy to find at Walmart, you can pick up all their flavors to try out. 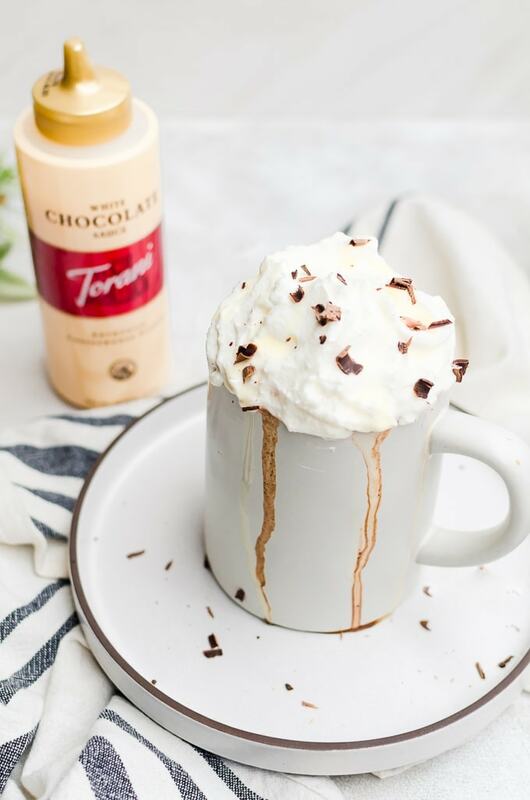 I like to infuse the whipped cream with the white chocolate Torani to balance the rich flavors of the gingerbread hot chocolate, but you can also substitute using the dark chocolate (for chocolate lovers) or the caramel. Because we use fresh ginger in this gingerbread hot chocolate, the method for making the hot chocolate is a bit different compared to the other hot chocolate recipes on the website. We want to infuse the milk with the ginger, but instead of heating the milk separately with the ginger while working on the rest of the recipe adds extra steps needlessly. Instead, we almost make a chocolate bechamel-ish base with the hot chocolate. To your saucepan, you add the ginger, the cornstarch, and the cocoa powder. Then add a few tablespoons of the milk. Stir constantly until it forms a thick paste, slowly add a few more tablespoons of milk, then the remaining ingredients (minus the remaining milk that is, we will keep adding that slowly). Once the chocolate melts, add the remaining milk slowly while stirring well. Allow the hot chocolate to boil for about a minute to help the ginger infuse more. Once you infused the hot chocolate with the ginger, use a small fine mesh strainer over your mug and pour the hot chocolate through it. There may be thicker parts of the hot chocolate that you need to push through the strainer. This is normal. Just push it through and stir it back in. Add the diced ginger, cornstarch, cocoa powder, and 2 - 3 tablespoons of milk to a small saucepan. Heat on medium-low and whisk well as the mixture heats up. The milk will begin to thicken, and as it does, add the chocolate, molasses, cinnamon, nutmeg, sugar, and salt. Stir in about a third of the milk slowly as the chocolate begins to melt. Once the milk is fully melted, add in the remaining milk and stir well. Whisk vigorously for about a minute as the mixture comes to a boil. Turn off the heat. Place a small fine mesh strainer over your mug and pour the hot chocolate through the strainer. There may be thicker parts of the hot chocolate that you need to press through. This is normal. Just press it through and stir it back in. 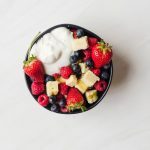 Make the whipped cream by beating the heavy cream, powdered sugar, and a tablespoon of the Torani white chocolate sauce until it forms stiff peaks. Spoon over your hot chocolate. Drizzle with more white chocolate sauce.